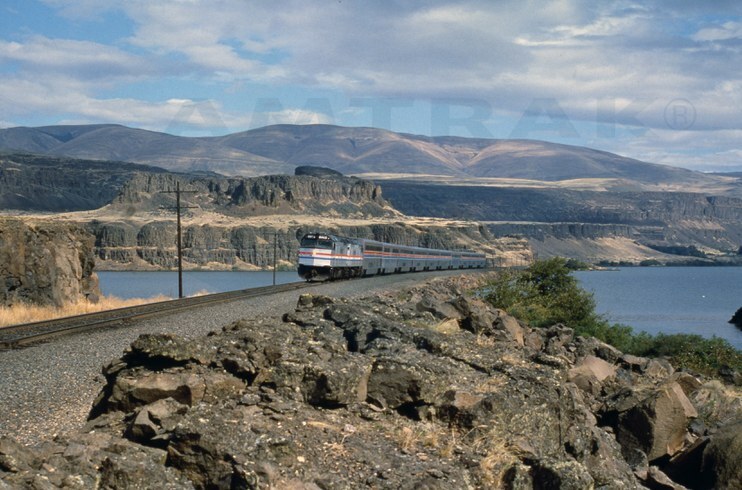 In FY 1984, Amtrak focused on increasing market development, service quality and productivity. 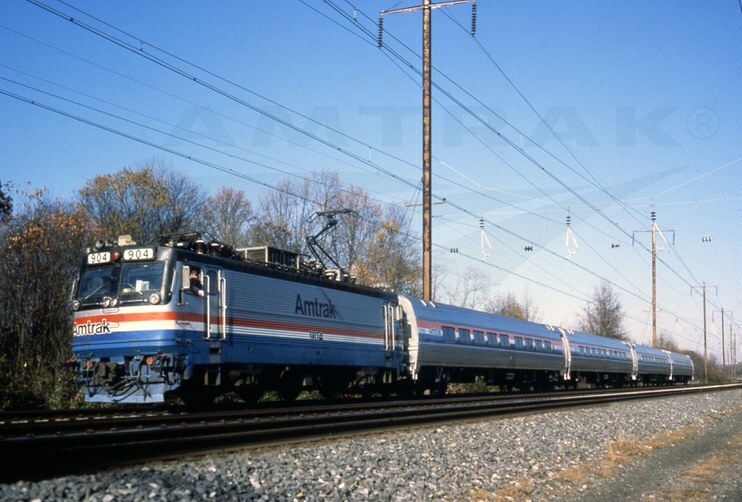 In its Fiscal Year 1984 annual report, Amtrak under the leadership of President and CEO W. Graham Claytor, Jr. set a goal “to create the best possible passenger service, market it successfully and deliver it as safely and as cost effectively as possible.” The company would work toward this goal by focusing on strategies to increase market development, service quality and productivity. The push to develop new markets and bolster existing ones was most evident in significant changes to train schedules. They included the realignment of services for better connections and the inauguration of new trains. The Cardinal (New York-Washington-Cincinnati-Chicago) switched to a more marketable schedule that had it pass through West Virginia’s stunning New River Gorge during the day instead of at night. The opportunity to see the area’s natural beauty, including mountain views, tumbling streams and wildflowers, attracted customers and is still a selling point today. The change also led to better connections with western long-distance trains in Chicago. More than seven million visitors flocked to New Orleans to attend the Louisiana World Exposition from May through November. To accommodate them and promote regional tourism, the states of Alabama, Mississippi and Louisiana funded a temporary Mobile, Ala.-New Orleans train known as the Gulf Coast Limited. Intended to run from April 29 to September 30, it continued through the end of the year due to lower-than-expected operating costs. The Crescent City was also directly linked to St. Louis and Kansas City via the new River Cities. Launched in April, the train extended the existing Kansas City-St. Louis service east to Centralia, Ill., where through cars were combined with the City of New Orleans (Chicago-New Orleans). Capitalizing on the success of Metroliner Service in the Northeast, noted for its timeliness and popularity with business travelers, Amtrak introduced a daily Metroliner Service train between Los Angeles and San Diego. It made limited stops, and passengers enjoyed a complimentary newspaper and continental breakfast in the morning, as well as warm hors d’oeuvres in the afternoon. Teams composed of a mechanical general foreman and an on-board service chief were also assigned to each long-distance train to ensure the network ran smoothly. They got to know their trains and routes very closely and were able to work together to analyze and address concerns. Amtrak opened new standard stations across the country. New and renovated stations also contributed to enhanced service quality. Depots in Anaheim, Calif., Omaha, Neb., Tacoma, Wash., and Huntington, W.Va., were constructed to standard Amtrak plans. Driven by practical concerns for highly functional, flexible and cost-efficient structures, their design reinforced the company’s brand identity through a common material and color palette. Due to the passage of the Railroad Revitalization and Regulatory Reform Act of 1976, Amtrak had gained a 50 percent interest in Chicago Union Station, where it had early consolidated all Chicago-area intercity passenger rail services. In 1984, it acquired the remaining 50 percent ownership stake from the Burlington Northern and Chicago, Milwaukee, St. Paul and Pacific railroads. Planning for a full renovation soon began. A steady series of enhancement projects completed since 1977 had produced modernized stations, maintenance facilities, track and other infrastructure along the Northeast Corridor (NEC). As part of this continuing work, Amtrak transferred ownership and daily management of Newark Penn Station to New Jersey Transit in 1984. This made sense due to the fact that the majority of passengers using the station were taking commuter trains. In New York City, Amtrak and the Long Island Rail Road came to an agreement to upgrade the nation’s busiest rail hub. In addition to improvements to the passenger concourses, the work would include a new state-of-the-art train control system. 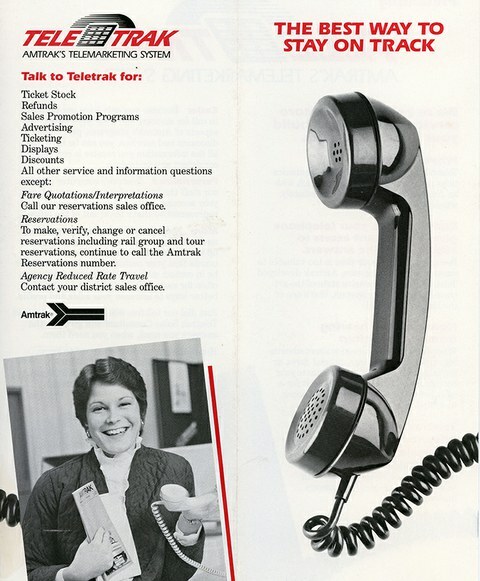 A new computerized telecommunications program called Teletrak let travel agents reach Amtrak sales consultants with a quick and simple phone call. Close observers may have noticed a new car regularly traveling the NEC starting in 1984. No. 10001, the Beech Grove, was converted from an Amfleet coach into a track-geometry car at the Beech Grove, Ind., heavy maintenance facility. The annual report noted: “[It] uses sophisticated measuring devices to sense and record track gauge, profile, curvature, cross level and alignment.” Cameras mounted on the rear allowed for close inspection of tracks and catenary wire. The Beech Grove remains in service today. Another way to develop markets, increase productivity and improve service quality was through technological enhancements that made it easier for customers to learn about services and accommodations. 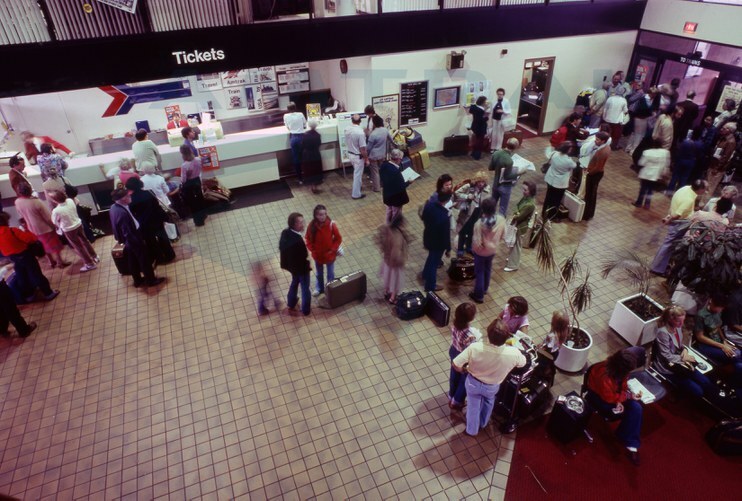 In the pre-Internet age, tickets were often bought in person at the local station, over the phone or through travel agents. Amtrak introduced new ways for travel agents to access booking information. It entered into agreements with Trans World Airlines and American Airlines to link its reservations system, ARROW, with theirs. Travel agents using the airlines’ systems could access ARROW for “instant information on schedules, rates and services” and even make confirmed reservations. Teletrak, a computerized telecommunications program, let travel agents reach Amtrak sales consultants with a quick and simple phone call. Amtrak also put a renewed emphasis on safety for employees and the public. A comprehensive System Safety program established in 1978 showed clear results by 1984. The ratio of lost-workday injuries fell from 10.7 to 3.4 for every 200,000 hours worked. Amtrak and the freight railroads collaborated with the non-profit Operation Lifesaver to educate the public about safe behavior on and around railroad property, particularly at the crossing of roadways and rail tracks. In 1984, the last two public grade crossings on the high-speed NEC between Washington and New Haven were closed. Investments in employees, railroad infrastructure and technology, paired with a strong emphasis on precise resource allocation, helped Amtrak maintain steady ridership through the remainder of the decade. 1Carolinian makes trial run,” [Hendersonville, N.C.] Times-News, October 27, 1984. 2 Wood, Gerry. “Minstrel and Emcee, Railroad Charlie Fike Puts Train Travel Back on Track,” People Magazine, September 1984. 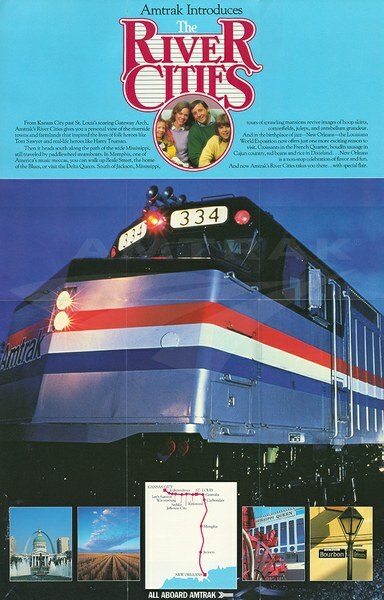 National Railroad Passenger Corporation, Annual Report (Fiscal Year 1984).